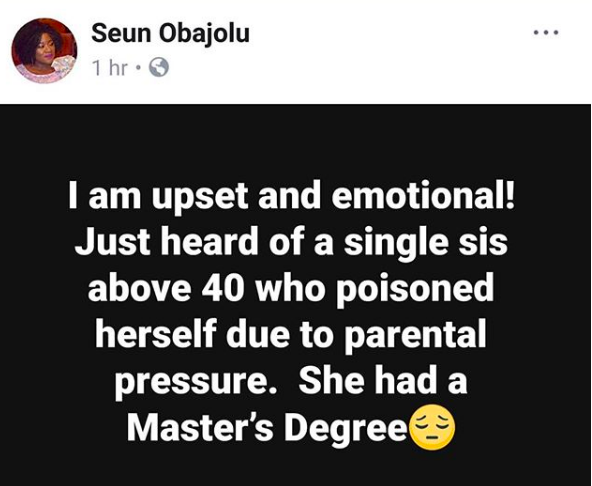 Facebook user, Seun Obajolu took to her page to share sad news of a single lady who poisoned herself due to parental pressure to get married. She didn’t indicate if the lady died. According to her, the lady was over 40 and had a Master’s Degree.